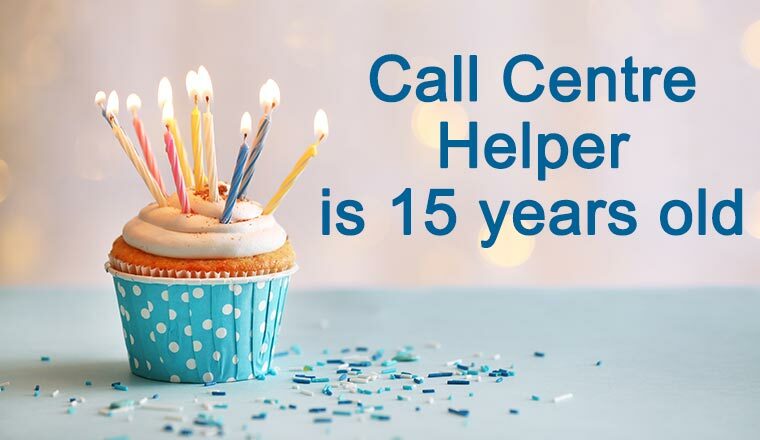 Today we are celebrating Call Centre Helper’s 15th birthday. We’d like to say a huge thank you for all of your support in making this happen. 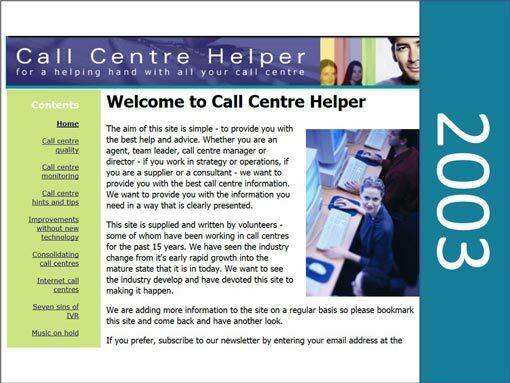 We started Call Centre Helper in August 2003 with a simple idea – to provide call centre help and advice online. 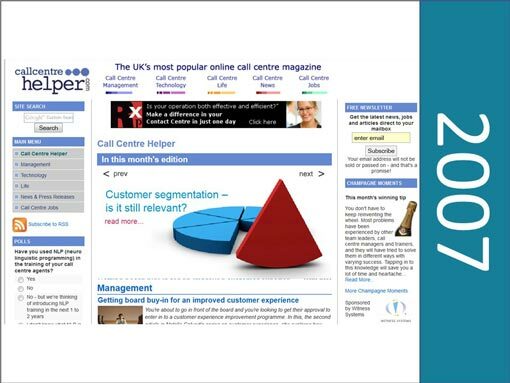 Since then, Call Centre Helper has grown to be the most popular contact centre magazine. 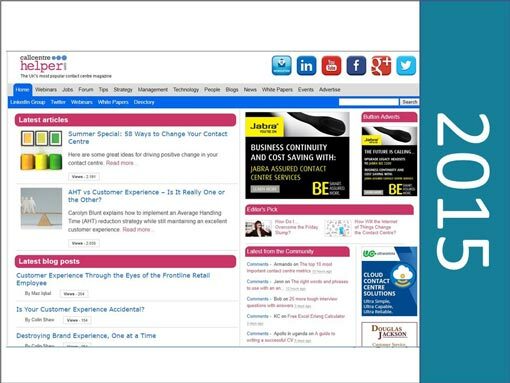 We decided to be nostalgic and look back over how our website has changed. 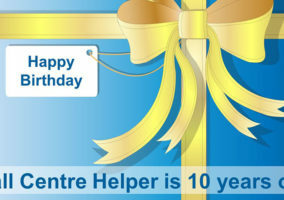 Call Centre Helper started out life in August 2003 as a simple help and advice website. It started mainly with a back catalogue of some of the articles that Jonty Pearce had written in his consulting days. More articles are added to the website and advertising is sold through Google Adwords. The website turns into a monthly online magazine, with professional styling and a new editor, Alex Coxon. 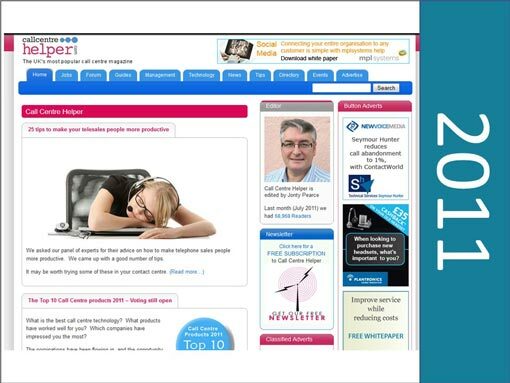 The site goes from strength to strength and moves to a content management system called Joomla. We launch our jobs database. The team grows as Jo Robinson joins us – she is still with us! 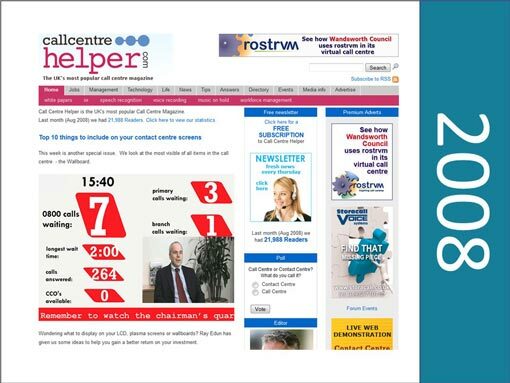 Call Centre Helper becomes a weekly magazine. Jonty resumes editorial duties. We move across to WordPress as our publishing system. 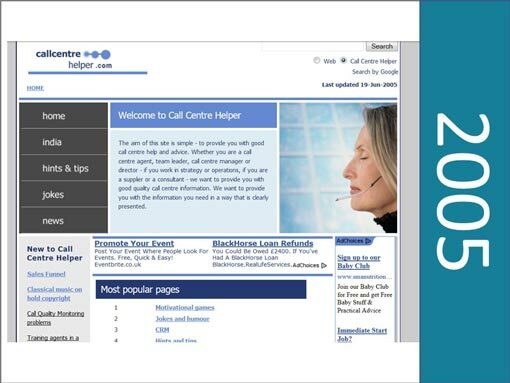 We run our first Top Call Centre Software awards. We hold our very first webinar in March and, with beginner’s luck, we get over 100 people live on the call. A sign of things to come. 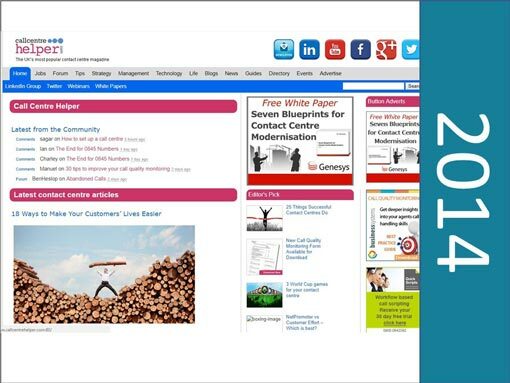 We start a forum and add our popular reference guides. We make our first tweet. We publish our popular Excel-based Erlang Calculator. 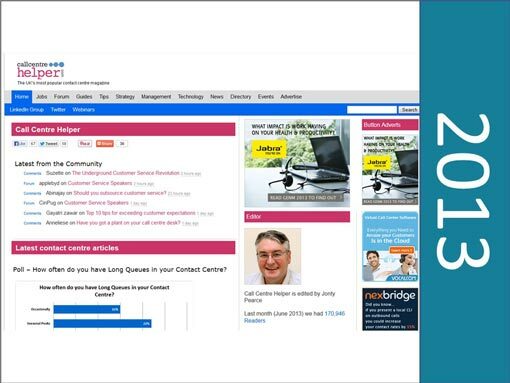 Martin Hill-Wilson wins our first “Top 10 most respected Call Centre People”. Rachael Boynton joins the team – she is still with us! 12 months after sending our last fax, we consign our machine to the fax machine graveyard. Farewell, old friend, you served us well! The webinar programme gains real traction. 18 webinars held with an average of 87 live attendees and 64 people watching the replay. 3,000 followers on Twitter. 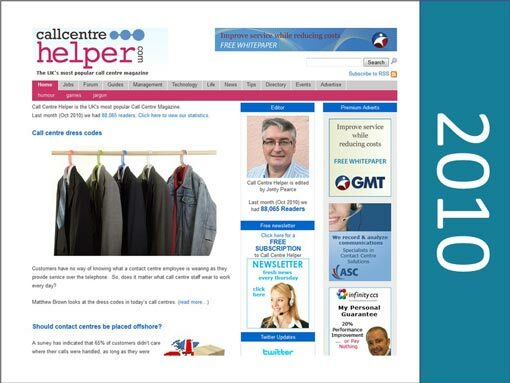 We set up our @callcentrehelp twitter account. 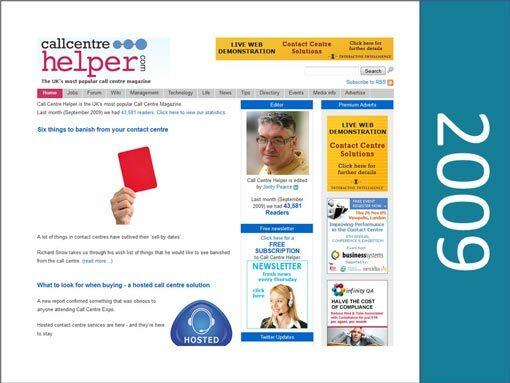 Our major competitor, Call Centre Focus, stops publishing its print edition and moves online. The business really starts to mature. We reach over 100,000 readers per month. We hold 21 webinars. 5,000 followers on Twitter. Jo Sparkes joins the team. We move to a new design for wide screens and for smartphones. Megan joins the Call Centre Helper on the editorial team. We go to weekly webinars. Our visitors for the year reaches over 2 million – 2,289,912. 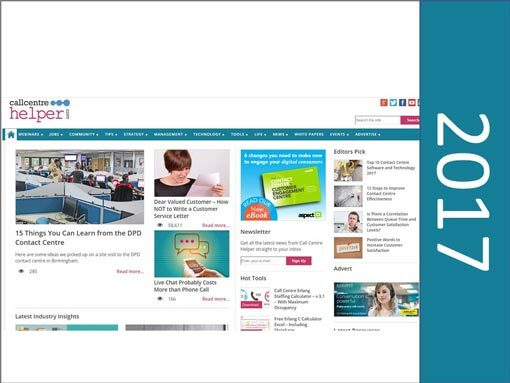 We introduce customer dashboards which allows advertisers to view the latest stats that content has received from adverts, editorial, white papers and any webinars. The office kitchen was replaced. Charlie Mitchell joins the team as Editorial Assistant. 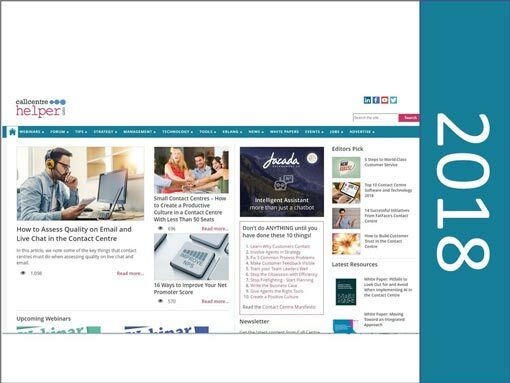 New website design – wide screen and banner/box adverts. More mobile friendly. 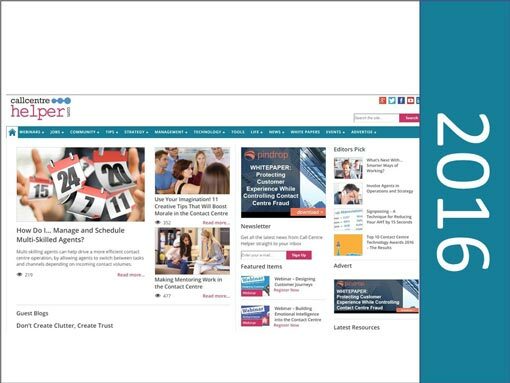 Front page is now split into Industry Insights and News stories. Rachael chairs her first webinar. Our LinkedIn group goes above 20,000 members. 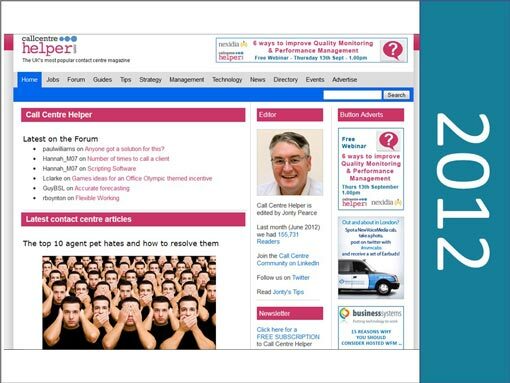 We acquire popular discussion board http://www.callcentrevoice.com/ and integrate it into our forum. 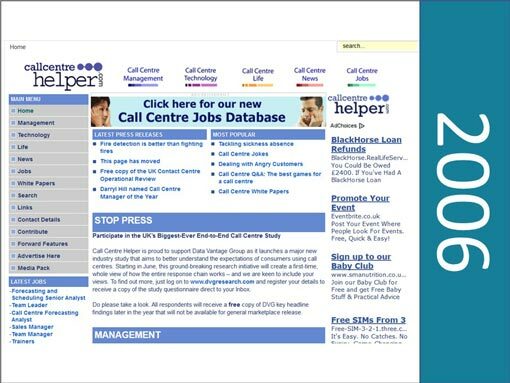 Our major competitor, Call Centre Focus, throws in the towel and stops publishing. We begin working towards GDPR and offer demo requests on our webinar programme. Our old printer finally dies and we buy a new faster one. We begin to run our Technology Awards annually and have over 1,000 votes. We run our 200th webinar with Genesys. As job recruitment moves to Indeed and LinkedIn we close down our jobs board. Charlie chairs his first webinar. We speed up our website to an average of 4.5 seconds per page. Traffic jumps up. 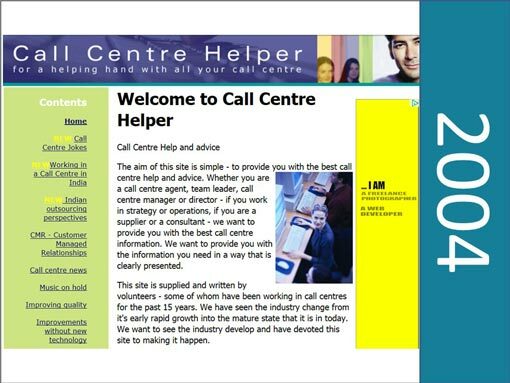 Last month (July 2018) we had over 231,494 visitors to the Call Centre Helper website. Thank you to all of our wonderful readers who have given us so much support. We look forward to celebrating many more Happy Birthdays.